Halifax and Lunenburg may not be as famous for their literary culture as, say, London or Paris are, but during my recent trip to Nova Scotia, I was delighted in the bookstores, libraries and cafes I visited. Book lovers, take note: You will want to stop by these places the next time you’re in the Maritimes. Bookmark, on Halifax’s Spring Garden Road, carries not only books but also a selection of literary accessories, including toys, mugs and tote bags. I visited the store on a Sunday morning. While it was quiet, there were a few other customers browsing along with me. I had heard about Trident ahead of my trip, so I was super excited to check it out. It’s a used bookstore that’s also a cafe and bakery–basically, it has all of my favourite things under one roof. I browsed the bookshelves for some time before ordering my breakfast. Although the view isn’t much to get excited about (a parking lot is across the street), I was happy to get a table by the window. A screen door allowed a pleasant breeze to come through. Top that off with a pot of Earl Grey, a cinnamon bun fresh from the oven and a good book, and that makes a pretty perfect morning. I love browsing in bookstores, but I think what makes a city absolutely fantastic is when they have a top-shelf library. The Halifax Central Library was built in 2014 and it is gorgeous. I love this display of books for Halifax Pride. Beautiful! This room is called The Sunroom, and it’s basically the upstairs cafe in the library (there is another cafe on the ground floor). The place was bustling on this Wednesday afternoon. It’s not surprising. Who wouldn’t want to hang out in here? The library, of course, has many books too. This is the view I had of some of them as I looked down from the staircase. On a lovely day, it can seem a shame to read or study indoors. The library offers a rooftop patio so that you can enjoy sunshine and work or read at the same time. If you prefer to enjoy the sun from a distance, here’s a great spot to hunker down in: This is what it looks like from inside that cube on the top of the library shown in the first picture. There are so many different nooks and crannies in this library, I suspect it would be hard to get bored hanging out here. It seems odd for me to visit a children’s bookstore, since there aren’t many children in my life and I’m not a particularly big fan of children’s literature. But Woozles is Canada’s oldest children’s bookstore, so I had to stop by. And with that charming exterior, it’s a pretty inviting place. I didn’t know what to expect in Lunenburg. I hadn’t heard much about this fishing town before I was actually in it. But once we arrived, I was thrilled to find three bookshops on one street. The first store I visited was Lunenburg Bound, which primarily sells used books. I loved all the old typewriters lined up across the windows. In here you’ll find lots of tables piled with books, packed bookshelves and some comfy chairs for reading. Sadly, I did not get to go inside Elizabeth’s Books, as it was closed during my brief stop in town. But I do have a photo of the shop’s lovely exterior. While Lunenburg Bound is the place for used books, Lexicon Books is where you’ll want to shop for new books. I loved the lights that were strewn all over the store as well as the wooden beams. They give the shop such a cozy atmosphere. I noticed a poster advertising the Lunenburg Literary Festival and asked the woman working in the store about it. It’s happening in September–a great time to visit Lunenburg. What I didn’t expect to see when I was strolling through Victoria Park in Halifax was a statue of Robert Burns looking down at me. But of course there is a connection between this province and Scotland, and when you think about that, seeing the great Scottish poet isn’t so surprising. I’d barely passed Robert Burns when I came across a bust of writer Sir Walter Scott. Both of these monuments were put in place by the North British Society. There’s nothing particularly literary about Halifax’s Cabin Coffee, but it’s a cozy place to curl up with a book. The place is designed to make you feel like you are in the wilderness, with lots of wood, a canoe and even fake trees. When it’s nice out, there’s no better place for reading than down by the Halifax Harbour. I was happy to snag a bench in some shade. I must say, as much I enjoy browsing bookstores, visiting libraries and viewing literary landmarks, sometimes there’s nothing better to do while on vacation than to read a good book. And when you can read by the ocean–well, that’s just the icing on the cake. I have a thing for Boston. The first time I visited was in 2012. I recently went back and spent a few days in this beautiful city. One of the reasons I love Boston is for its literary history and the continued appreciation for the written word the city seems to have. The last time I visited, I took a tour of the public library, joined a literary walking tour and went up to Cambridge to see Harvard and go to the Harvard Book Store. I didn’t get a chance to do those things this time around, but I did do some book-browsing at three great bookstores and one pop-up library. My first stop was Brattle Book Shop, a famous used and antiquarian bookstore. I went even though I knew it would be closed. The shop has an outdoor section, and I wanted to get a look at the artwork. The mural is visible at all times, but the doors painted with images of books and book spines are only shown when the shop is closed, as these are the doors that lock up the books. I did, of course, return to the shop when it was open. Then I headed over to Commonwealth Books, another store selling used books. It’s not as easy to find as Brattle, as Commonwealth is down an alley, but there are plenty of books to look through when you arrive. The only bookstore I visited that sells new books was Trident Booksellers & Cafe, a really cute shop in the Back Bay area. I even had lunch in the upstairs cafe. I also got to do some book-browsing when I wasn’t expecting it. I went to the very touristy Faneuil Hall/Quincy Market area and stumbled upon a small library out in the square. It made me smile to find it there. Next time you visit a new place, maybe skip the museums and galleries and just do some book-browsing instead. Admittedly, it might end up costing you more than the price of museum admission if the book-browsing excursions turn into book-buying excursions. Set yourself a limit so you’ll (hopefully) have some cash left in your wallet by the time you head home. I heard about the Larkin Trail a few years ago, when it was first created, but I didn’t think I’d actually explore it myself. When would I ever be in Hull? But then this year I planned to spend some time in London, and Hull was just a 2.5-hour train ride away, so it made sense to go for a few days to follow in the footsteps of my favourite poet, Philip Larkin. Before leaving the train station, I was greeted by the poet himself. Well, I was greeted by a statue of him, at least (since Larkin died in 1985, it would have been a little creepy if he himself had been there). Damn tourists, I muttered to myself as I pushed past a group of teenagers dressed in matching red T-shirts. I’d veered off a main road on to a side street in Soho to avoid the crowded sidewalks, yet there I was, confronted with a swarm of bodies, who seemed to serve only one purpose: to get in my way. 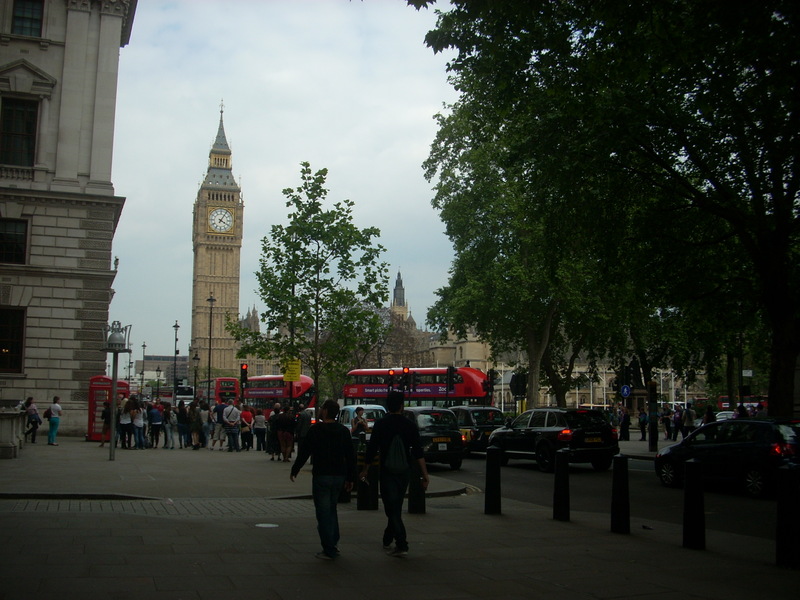 Of course I was aware that I, just like them, was a tourist in London. And I realized that while I tried to remain aware of my surroundings, it was possible that at some point when I paused to snap a picture of the London Eye or of Big Ben, I might have—unintentionally, of course—stood in someone’s way as they tried to get past. I could have been an annoyance to a Londoner or a few as they rushed to get to work, or home or to meet someone. I, however, didn’t have any appointments to get to. I merely wanted to make sure I could make the most of my time in England’s glorious capital. I didn’t want to miss out. When choosing where to go on vacation, London was an easy decision. I’d been only once before, 10 years ago, and loved every inch and second I experienced there. Of course I had barely scratched the surface, merely dipped my toe in the water. So I wanted to go back. I yearned to go back. But I also wanted to see more of England than just its biggest city. A couple of years ago, I read about the Larkin Trail, a self-guided tour of landmarks related to the life and poetry of Hull-based poet Philip Larkin. 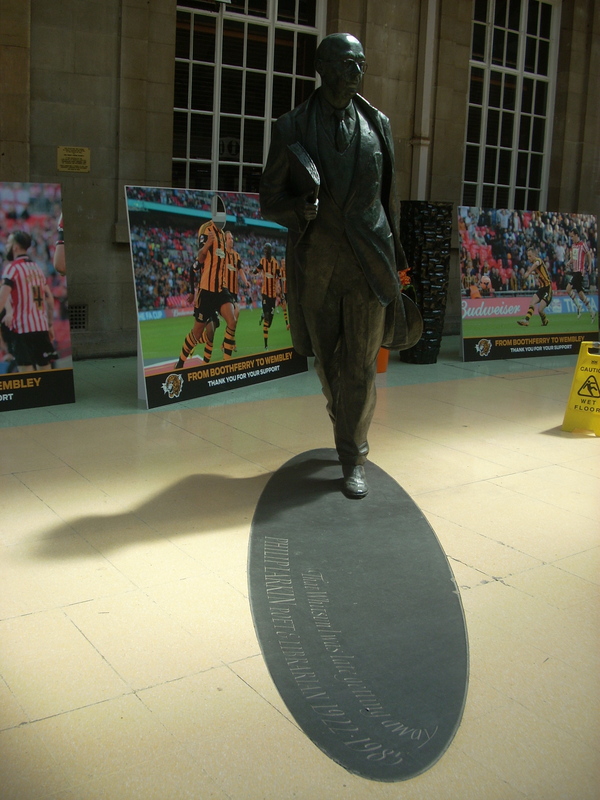 There is much to say about my time in Hull, about following in the footsteps of a poet whose work I greatly admire. But those words are not meant for this post. Larkin’s Hull deserves its own space. So that will be put on hold for later. This post is for London.